Thanksgiving weekend offers the chance to reflect on what truly makes us grateful. When it comes to America’s schools, there’s a lot to be thankful for–whether you’re a student, a parent, school leader, teacher, or community member. Despite immense challenges, school leaders and educators across the country are bringing innovation and fresh approaches to their classrooms. The best part? It’s paying off. As you celebrate Thanksgiving with your loved ones, here’s a few extra reasons to be thankful for America’s schools this week. 1. A new generation of students is on track to be the most well-educated ever. A recent analysis of Census data by the Pew Research Center analyzed “post-Millennials”–the generation of children and young adults born after 1996. While researchers caution that it’s still too early to come to distinct conclusions, the analysis found signs that this latest generation will be more educated than previous ones. The study compared educational attainment of the oldest post-Millennials, those aged 18-20 in 2017, with similarly aged Millennials from 2002. The dropout rate among older post-millennials was much lower than that of their Millennial counterparts, according to the study. And, the 59 percent of post-Millennials who graduated high school and enrolled in college is a much higher rate than previous generations–53 percent of Millennial high school graduates were enrolled in college in 2002 and only 44% of Gen Xers were enrolled in 1986. The analysis also found that a more diverse set of students are attaining better education outcomes. Fifty-five percent of Hispanics aged 18-20 who graduated high school, enrolled in college according to the report. That’s compared with only 34 percent of their Millennial counterparts in 2002. 2. School districts are looking beyond academics for measures of success. School leaders across the country are quickly realizing that when it comes to measuring the success of their schools, student academic performance is only one part of the puzzle. Those other attributes include feelings of safety, the social-emotional well-being of students, and how well students and parents feel they’ve been treated by school staff. One trend in recent years is districts’ focus on customer service in schools, and the impact those engagements have on culture and climate. Through professional development training and other district-wide strategies, school leaders continue to look for new ways to measure and improve the quality of interactions that students and parents have when they engage with people in their schools. 3. Schools are redoubling efforts to keep students safe. Recent high-profile school shootings, along with an uptick in incidents of bullying and violent threats on K-12 campuses, have parents and educators justifiably on edge. But according to Dr. Nora Carr, chief of staff at Guilford County Schools in Greensboro, N.C., it’s important to remember America’s schools are still some of the safest places for students to be. To ensure students are safe, physically and emotionally, more districts are implementing strategies to improve community engagement, amplify student voices, and make it easier for students, parents and staff to report safety or health concerns. 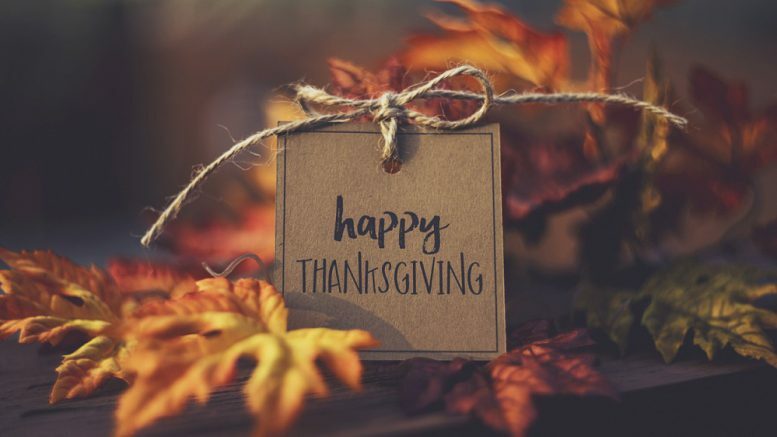 We hope you have a happy, restful, and reflective Thanksgiving. TrustED will be back with fresh content next week. Be the first to comment on "3 reasons to be thankful for K-12 schools this year"